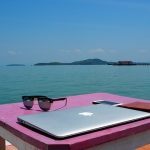 Digital nomads work from their computers virtually anywhere in the world. Check out our list of the best US cities for digital nomads and their lifestyle. All entrepreneurs have to handle day to day decisions about the business while living their lives. Here ways to balance life and work with relative ease. Are you a “slash”? With technology giving us the ability to work from anywhere and the nine-to-five grind becoming a thing of the past, more and more people are building careers filled with slashes. As work at home parents, our biggest challenge is finding the right balance between work and our families. Learn 20 tips to help you juggle the demands of your business and raising your family. Many moms are attracted to working at home while raising their children but the juggle and struggle of managing both effectively can be challenging! 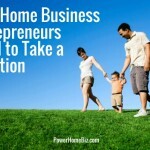 Separating home work and business can be a challenge. Here are tips on how to balance your home and work, and bring both aspects of your life to equilibrium.